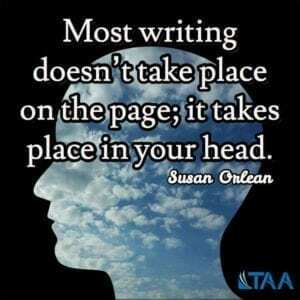 Susan Orlean said, “Most writing doesn’t take place on the page; it takes place in your head.” Writing begins with curiosity, expands into a desire to identify, curate, and create knowledge and ideas, and ultimately affects those who read our work. This week’s collection of posts from around the web begins with ideas for developing a practice of curiosity, for establishing relationships with good critical friends, and for discerning helpful advice from awful advice. We then have some advice for reducing the fear of “the literature” and a discussion on the affect of activism in academia. Our collection closes with insight on the evolving landscape of research access, the words we use to describe new publishing paradigms, and the true cost of inclusive access. As you write this week – whether in your head or on the page – consider the effect your writing has on your discipline and your readers. Start with a curiosity that leads to discovery and consider where your work fits in the ever-changing landscape of scholarly publishing. Happy writing! What if librarians presented research to students as a practice? What if we stopped implying it’s a set of skills used to complete assignments in school (including coaxing sources out of baulky databases) and instead suggested it’s a thing we all do and could do better if we practiced being curious? If we created a book like Warner’s, only about finding stuff out instead of about writing, what questions would head up our chapters? Actually, we could repurpose many of the same questions. Writing is a process of finding out what you want to say, often in conversation with what others say, and that involves practicing being a person who can find stuff out – and knows why it matters. You’ve all heard that the doctorate is about making an original contribution To the literature. Well, that’s right, although what that means is not nearly as scary as it sounds. What you may not be told is that doing a PhD is a lot about information management – finding information, cataloguing it, saving it and retrieving it in order to use it. And one major slab of information that you need, in order to say how you contribute, is “the literature”. Activism in academia is a hot topic. Some argue that our only responsibility is to do the research, and publish our results – and the rest will sort itself out: the right people will pick up on our conclusions and turn this into policies and actionable items. Some go even further, and say that activism is a threat to carrying out research in a neutral environment. The global research and publishing trends are widely known to readers of The Scholarly Kitchen – trends such as the growth in open access publishing; changes in the economy of access and publishing; greater access to publishing technologies; and improvements in search and discovery technologies. What are perhaps less widely known in the wider sector are the shifts within the systems for communicating research and knowledge in the Global South. There is no question that we are facing significant challenges and opportunities as the traditional publishing model begins to falter. How the academy positions itself at this moment will have consequences for years to come. For colleges like Trident Tech, a public two-year institution in Charleston, S.C., the benefits of inclusive-access programs are compelling. The programs allow colleges to automatically bill students for their course materials as part of their tuition or course fees, meaning that on the first day of class, every student has the right textbook and is ostensibly ready to learn. But colleges are allowed to offer inclusive-access programs only under certain legal conditions.